Beautiful video. 130,000,000 views of Shata Shloki Ramayana ! How great is our Sadgurudeva! Jai Guru Datta and congratulations Puttuji !! Koti Koti pranams to the Lotus feet of Sri rama Sadgurudeva on this happy occasion !! SSR is reverberating throughout the entire universe. The entire universe is within Gurudeva. It is so joyful to see Appaji so happy !! Congratulations to fellow Datta Bandhus!! Sri ram jairam jaya jayaram saccidananda jaya raghuram !! Om Namo Hanumathe Namaha !! 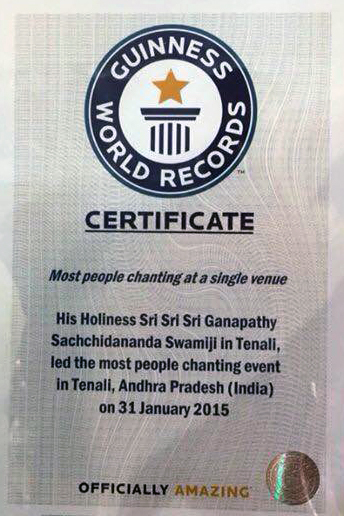 Congratulation to the busy devotees who where listening and watching! Jaya Ho Guru Datta Appaji ki. This is a mighty effort of by Pujya Appaji for the welfare of the human race, this planet and the entire universe. Appaji’s compassion is boundless towards all beings of this universe. We are all very very very fortunate to be part of this Maha Yagna. jaya guru datta appaji jaya rama sri rama raghu rama jaya jaya rama jaya ho jayaho appaji…………..